Photograph of Virginia Woolf , 1911 – 1912. 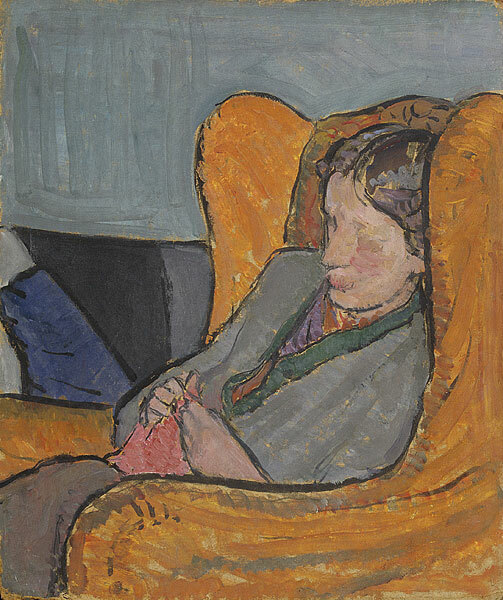 Oil on board, by Vanessa Bell. In the public domain. I have lost friends, some by death… others by sheer inability to cross the street. I just finished reading an essay, “Girlfriends,” in Anna Quindlen’s Lots of Candles, Plenty of Cake. In her memoir Quindlen passes along Virginia Woolf’s wise words, above. Those words struck me hard. For, you see, I am at an age where I have lost friends to death, although you might say age has nothing to do with it, and that’s true. Friends, or God forbid, family, can be snatched from us at any age, at any time; witness the recent unspeakable event in Aurora, Colorado. How Wide Is the Street? Having gotten those morbid thoughts out of the way, I’d rather focus on the other part of Woolf’s quote. We lose friends, Woolf suggests, “by sheer inability to cross the street.” Those words stunned me. How many times have I let friendships languish out of inertia? How often have I been unable, or unwilling, to “cross the street”? I thought immediately of a good friend–we used to be “besties,” as the young ones might say–whom I haven’t seen in months. We haven’t even talked on the phone or emailed. I’m mystified by this neglect of a long-time friendship. I’m afraid we’ve drifted away from each other because of political and religious differences, and there’s no way one of us can convince the other she’s wrong. Even though we have “agreed to disagree,” those differences have cast a pall on our friendship. And yet, why have I not crossed the street, called one more time, and suggested we get together? I have not, and it’s a shame. Then there’s my dearest childhood friend who writes me long, lovely, handwritten letters occasionally, newsy notes about her and her husband and what’s going on in their lives. When we do talk, maybe once a year (why not more often? ), we always pick up where we left off, as though not one of the events of our later lives has intervened. We might as well be girls again, sleeping over and giggling–or crying–about boyfriends. That’s a rare friendship indeed. My response to those long letters she writes? She’s lucky if she gets an email in return. She deserves a better friend. And then there’s the new world of cyber-friends. Friends, you say? Are you skeptical? That’s all right. I was, too, in the beginning. Yes, I use Facebook to keep up with my dear ones. Otherwise, Facebook “relationships” seem superficial, at best. And yet, if you’re lucky, a comaraderie develops over time as acquaintances open to each other through common interests; as they sense when someone needs a good word; as they listen (figuratively, yes); as they offer themselves unselfishly, laugh together, and cry together. This is particularly true of writers, I think. I’ve become associated with a group of writers through Facebook and other social media. We may have started out with the goal of increasing our online presence and creating a “platform” so that as we publish and hopefully, someday, really need a platform, we’ll be ready with the website and the Facebook Writer’s Page and a Twitter account and a nice number of connections across the Web. But I believe, as we’ve gotten to know each other better, bonds have formed among us. We don’t all know each other equally well; we don’t all share the same goals; we might not recognize each other if we were all thrown into a crowded room together. But we are connected. What we care about—our writing, mostly, but also our successes, our failures, our significant life moments, both good and bad—we have come to expect to share with these other folks whom we may never see in the flesh. Yet we are, in a real sense, capable of “crossing the street” for each other. 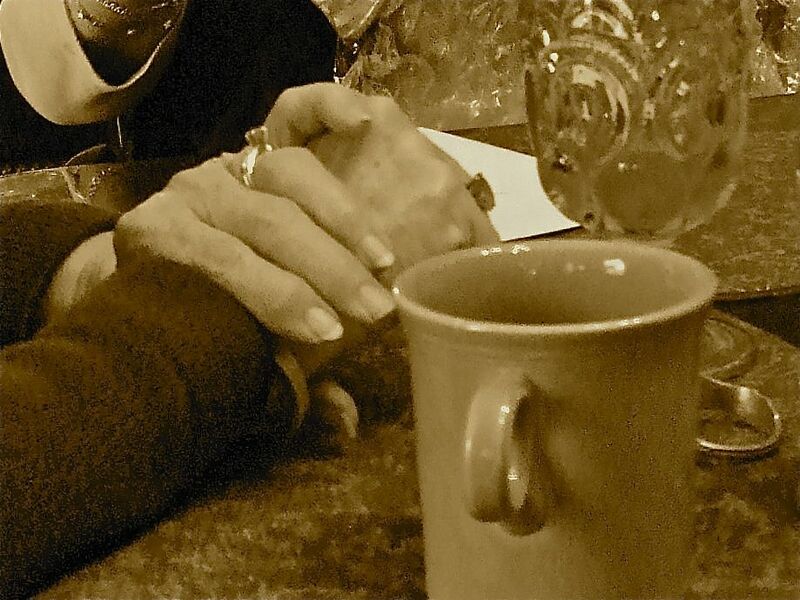 It’s not the same as sitting across from that old friend I miss a lot, having a cup of coffee, and catching up, or writing that long overdue letter, or having a pithy book discussion that ends in good will and laughter. It’s not the same as showing up at the home of a friend when somebody is sick or there’s terrible news. But give us time and technology! We may just get there. How important are your friendships, “in the flesh” or otherwise? Let me know your thoughts! I’m so thankful that you included this link with your today’s post. I seemed to have missed it the first go round. You are truly one of the gems I cherish from that platform challenge. As you know it began for me being sent home from work with a concussion. Who knew I’d gain a platform and a wonderful writerly community of friends as emotional ballast to help me through this rough terrain. Who knew?! I joined the platform challenge because I needed to know more, never thinking I would do much with it. Now here we are, as you said, with this terrific bunch of writer-friends rooting for each other! Great stuff happening. My post today includes profiles of the Steering Committee. I’m going to resume my #MNINB Blogroll…modified to showcase our Wordsmith Studio teams. That will be a regular feature of my Thursday posts for awhile. We do have such a terrific group of writers. Great talents and wonderful hearts. So lucky to be counted as part of the group. Moving around can be tough on friendships, as can other situations (like divorce; that almost totally changed my friend landscape). I enjoy my online friends, especially my writing buddies. The memoir challenge revealed how much some of us have in common. Thanks for reading and commenting, Kenya! “Friends” is such a sketchy concept. You know those people how use and take and never call unless they need something? And then they have a hair emergency when you’re in the middle of something important and expect you to drop everything and come to the rescue. How about those who answer your FB posts with verbal slaps because they live millions of miles away and can hide behind an ether wall? The older I get the more jaded I feel about the friends label. These days I’m more apt to refer to most people as lovely acquaintances. The flip side of friendship! Friendship is a complicated concept, for sure. Thanks for the comment, Veronica. Soon, very soon, we must cross the street — and bridge from cyberspace to face-to-face. How can we not? Meanwhile, I’ve got to make a few bridge-the-gap phone calls to long-time friends! Thanks for your writing. Soon. Yes, indeed! We certainly should cross the street–almost literally! The internet has made our worlds much bigger–or smaller, I guess, depending on how you look at it! Thanks, E. B., for the comment. How I’ve come to view friendships–each fills a need in its own way, sometimes a need we didn’t even know existed. I have learned that I need my flesh friends AND I need my cyber friends to fill in the spaces my flesh friends can’t. Both stimulate and enrich my life in different ways. So true. I experience friendships and community now–through technology–I couldn’t have dreamed of years ago. How lucky are we?